House flipping is becoming popular again! 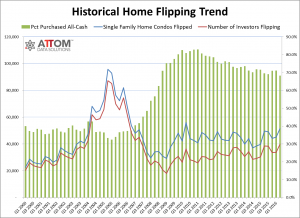 In a recent report by Attom Data Solutions, a leading housing data company, a total of 39,775 investors completed at least one home flip in 2Q2016.1 That’s the highest number of house flippers since second quarter 2007! This time, however, not all investors are obtaining funding through traditional means. Growing FinTech lending companies such as RealtyShares, Lending Home, and Patch of Land are matching house flippers and property developers with people looking to lend – making real estate deals faster and more flexible. According to a recent Bloomberg Businessweek article2, one real estate investor, Alex Sifakis, financed a $1-million-dollar deal in just 12 hours. 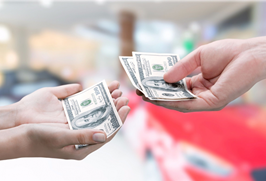 So far the defaults are low, but as we saw in the 2000s, simple lending practices can sometimes lead to unexpected results. Whether you are an individual investor or someone looking for new investment opportunities, these platforms are definitely worth looking into. Prospect General is a Managing General Insurance Agency located in La Jolla, California that focuses on specialty insurance products. To become appointed, or to learn more about their Real Estate Investor Insurance product, please visit their website at www.ProspectGeneral.com or contact Jorge Martinez, Director of Sales & Marketing, at (619) 597-1188.